About 10 percent of all car accident fatalities are attributed to a head-on collision, ranking head-to-head crashes as second in terms of fatalities behind rollovers. If all drivers and passengers escape fatality, head-on collisions still pose great risks of catastrophic injury. 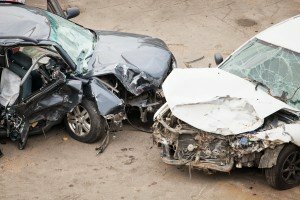 A head-on collision occurs when two vehicles of any sort collide head first with the full power of both vehicles behind the crashing vehicles. Forward momentum of both autos makes it easy to understand why this type crash is more dangerous than a crash involving a stationary vehicle or a side swipe. 83% of head-to-head crashes occur on 2-lane roadways that are undivided, rural roads. Other head-on collisions commonly occur on roads under construction or on highway ramps. Any person who survives a head-on collision/crash should appreciate their good fortune but not be in a hurry to walk away without consulting a physician and contacting an attorney. Side effects from head-on collisions can be serious and permanently debilitating even if they are not immediately recognizable. Of course, hindsight is 20-20 but there are a few safety tips that can help drivers and passengers prevent this high-risk type of crash. Do not get distracted by your phone or other technology. Pay attention to the road before you. Read and follow all signs. Be especially mindful in road construction areas. Wear prescription eyeglasses if needed. Obey the posted speed limits and if traffic is heavy or road conditions are poor, drive slower. Be especially careful when passing on a two-lane road. Following these simple tips can greatly reduce the possibility of a serious head-to-head collision. There is bound to be trauma and surprise when one vehicle strikes another vehicle in a head-to-head collision. Imagine the force of two vehicles crashing head-on when in motion going opposite directions! It is easy to say but try to remain calm whether or not you are injured. Check the condition of survivors and call 911 as soon as possible. Make sure you know your approximate location. Do not play doctor but do what you can to help victims. Ask passerby drivers to stop and help. You may be up and about but your judgment could be blurred. At some point, you will have the opportunity to receive a copy of the police report. Be sure to do your best to receive the final copy. If it is suggested that you go to the hospital via ambulance, following a head-on collision follow the instructions. Do not talk to any other insurance company representative but do notify your carrier at your earliest convenience. If you would like more information about what to do after a head-collision, click on this link or visit our accident FAQ’s page. There are very few head-on collisions that do not result in some form of injury. 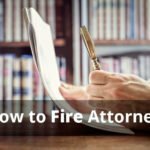 Whether or not you are at-fault, you will need legal representation. 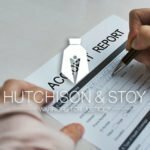 Call Hutchison & Stoy, PLLC at 817-820-0100 to receive a free, case evaluation or fill out a request online right now. 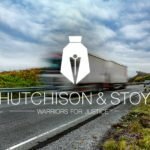 Leave the case with Hutchison & Stoy, PLLC and start recovering today!